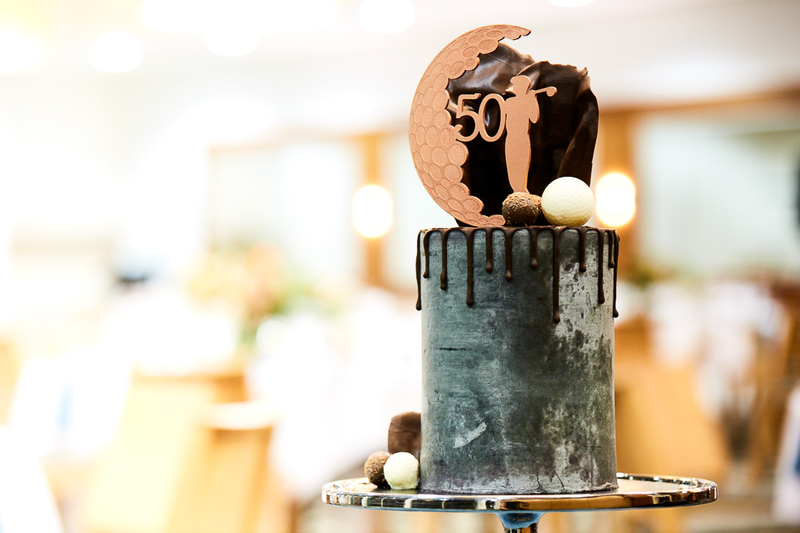 Yes, men can have flowers too… and golf-themed cakes that aren’t green! 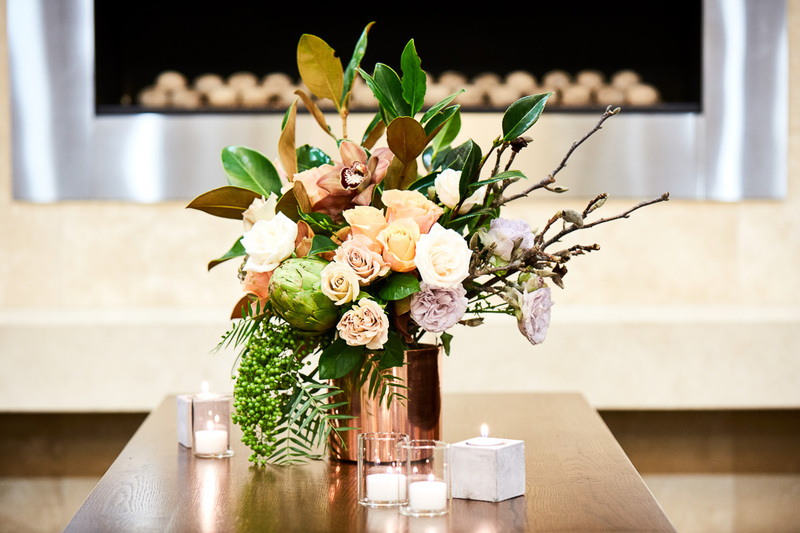 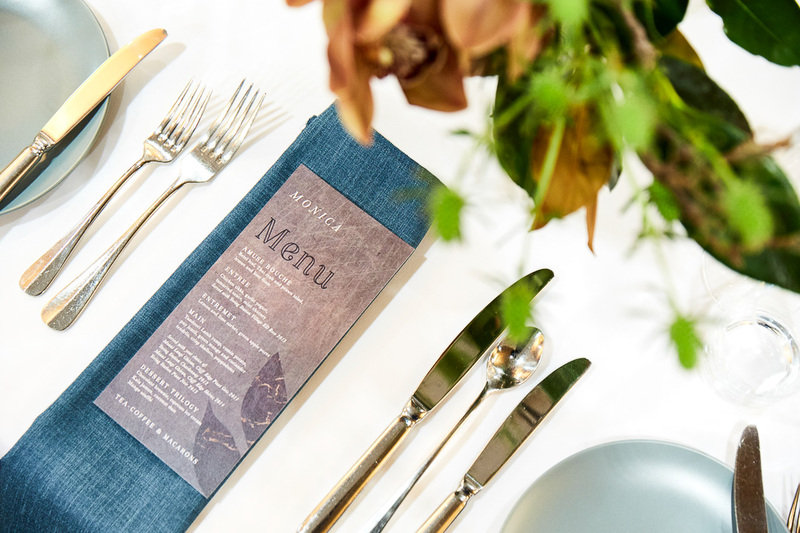 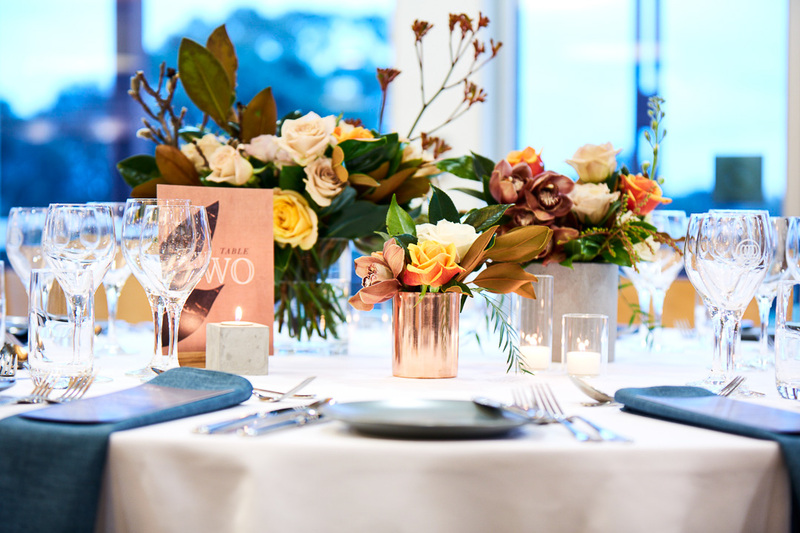 Navy blue and copper tones paired with concrete textures set the tone for this 50th birthday celebration. 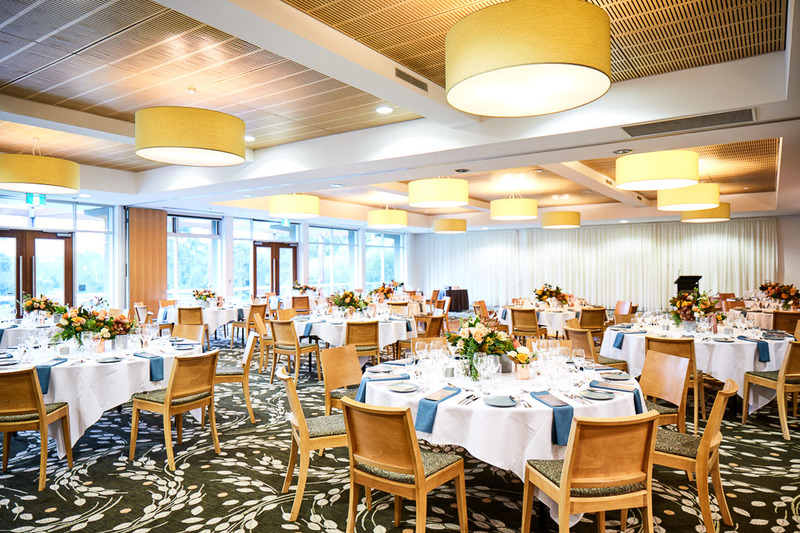 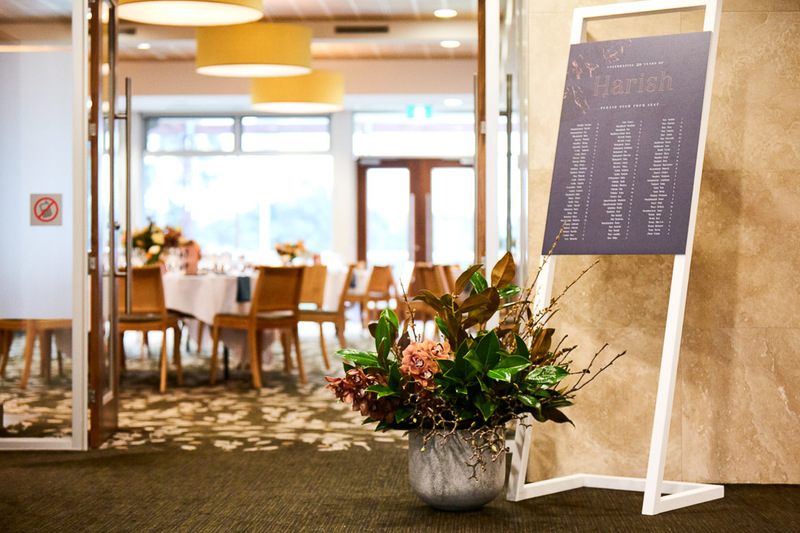 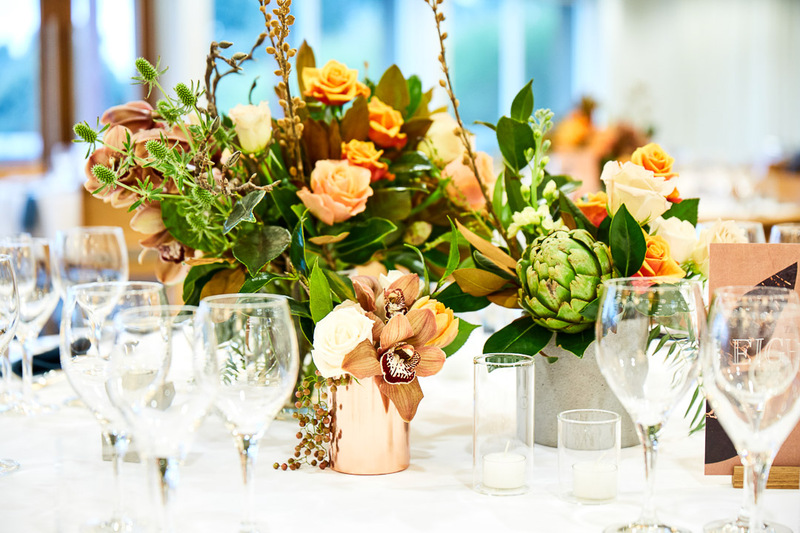 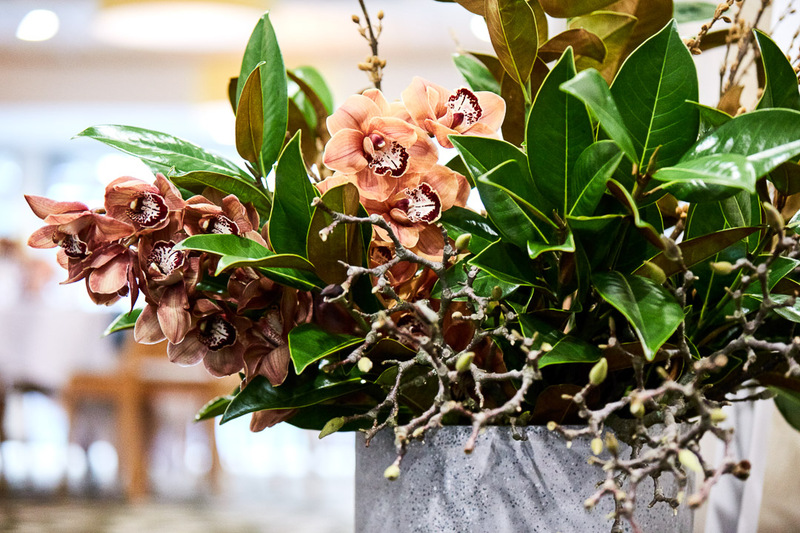 All styling elements complimented the surrounds of Greenacres Golf Club in Kew. 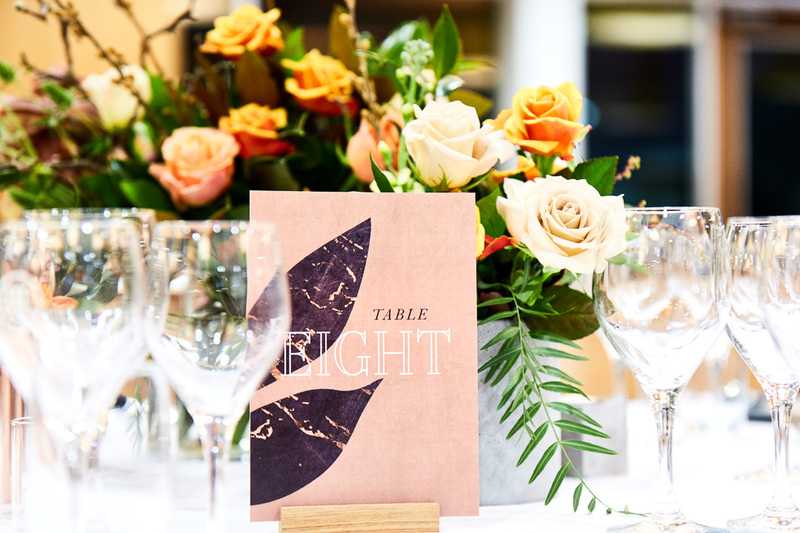 The tables never looked so good.